This is something I remember. We’d come out of the house, got to the top of Welby Street, crossed over Hathersage Road heading left towards the junction with Upper Brook Street. But we were going past that, down to Oxford Road. We were on the pavement outside The Victoria Baths, being sunshone on. The Victoria Baths is an old building, and one that I liked, and still like, living almost opposite. 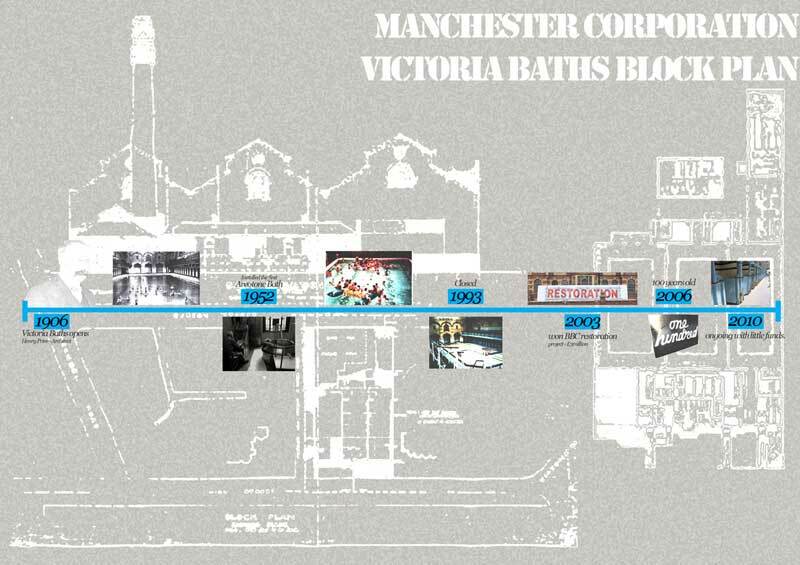 Internet research now tells me that it was opened in 1906, stayed open for 86 years, contained private baths, Turkish baths, three swimming pools. I have never been in, but I have walked past and admired it hundreds of times. Anyway, we were pretty much directly outside The Victoria Baths when we saw a man hit another man in the face with a Mountain Bike. I remember when The Victoria Baths had lights spelling out ‘100 YEARS’ on it. I remember sitting on the wall outside it 5am one morning some time two years ago very high on pills. I remember wondering what it was, if it was classy flats. It is The Victoria Baths. So we were walking past The Victoria Baths. We were going to the shop to buy cigarettes to smoke in the sunshine then cross Upper Brook Street and then down past the hospital on our side of the road, the diabetes clinic on the other, where we would make our usual diabetes jokes, then we would be on Oxford Road, where we would turn right heading to Big Hands, and light another cigarette each and make more diabetes jokes. But, like I said, our progress was momentarily arrested by seeing one man hit another man in the face with a Mountain Bike. 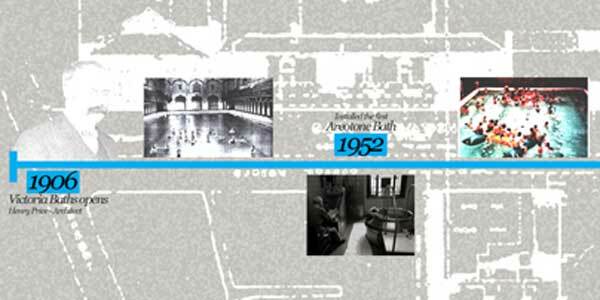 According to the very informative The Victoria Baths website, it was the first bathhouse in England to have an Aerotone bath installed – what we now call today a Jacuzzi. The Aerotone bath was very popular, and was prized for its therapeutic qualities. The ingenuity of the design of that first Aerotone bath was matched, in my opinion, with the ingenuity of the method the man we saw hit another man in the face with a Mountain Bike used to hit the man in the face with the Mountain Bike. He dismounted, picked the bike up, straight vertical in the air, front wheel pointing summer skywards, and he bounced it down on its rear wheel, hard, and he let the pneumatic suspension force the bike back up again, so all he had to do was steer it into the other man’s face. All this happened over a very short period of time, so the other man barely had a chance to react to the bike being lifted before the front tire was hitting him around the brow line. I didn’t catch what exactly the gentleman had been hit with though?